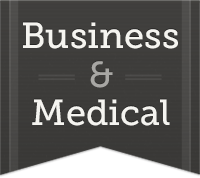 At CAS, we provide only the BEST business & medical marketing data at the industry's BEST prices, guaranteed. Lets say you're look for a B2B postal or email list and you've talked to a number of "list brokers" or "list compilers". Most companies will try to sell you something off their menu, instead of trying to understand what you really need. At CAS, we provide a full range of B2B marketing products, even if they're not ours, and we listen before making our recommendations. We'll only offer the highest quality products along with our practical ideas to meet your marketing goals. Having the flexibility to compare multiple data compilers is an essential component to any successful marketing campaign. Talk to one of our experienced account executives and see how we can help you, not sell you. Call (866) 461-4693 for list pricing and counts. You can also send us an email HERE or by using our LIST QUOTE REQUEST FORM. The Standard Industrial Classification (abbreviated SIC) was developed as a United States government system for classifying industries by a four-digit code. Established in 1937, it is now being supplanted by the six-digit NAICS code (North American Industry Classification System), which was released in 1997. However certain government departments and agencies, such as the U.S. Securities and Exchange Commission (SEC), still use the SIC codes. The SIC codes can be grouped into progressively broader industry classifications: industry group, major group and division. The first 3 digits of the SIC code indicate the industry group, and the first 2 digits indicate the major group. Each division encompasses a range of SIC codes: for example, the division of manufacturing holds all SIC codes with the first two digits between 20 and 39. To look at a particular example of the hierarchy, SIC code 2024 (ice cream and frozen desserts) belongs to industry group 202 (dairy products), which is part of major group 20 (food and kindred products), which belongs to the division of manufacturing. Numerically sorted 2 digit standardized industry clasification codes - 4 digit, 6 digit, 8 digit SIC, and NAICS codes are all available.